Carol Weissert, director, Leroy Collins Institute will kick off the Policy Pub series Tuesday, Sept. 13. Florida State University College of Social Sciences and Public Policy is launching a new event series that puts the “public” in public policy and the “social” in social sciences. Beginning in mid-September, Policy Pub will bring Tallahassee residents and college faculty together in a relaxed social environment to dialogue about key public policy issues. Policy Pub will take place on select Tuesday evenings at 5:30 p.m. at Backwoods Bistro, 401 E. Tennessee St.
Each day, policy decisions that directly impact our lives are made at the local, state, national and global levels. What are these decisions? Who are the individuals and institutions that make them? How do these decisions get made, and what effect do they have on our day-to-day lives? Through the series the FSU social sciences faculty is eager to share information and ideas about public policy with community members in an informal non-academic setting. The informal setting allows people to sit at tables, order from the Bistro menu, hear a presentation of about 15 to 20 minutes, then ask questions and talk about the night’s topic. Policy Pub is the brainchild of Sociology Professor Deana Rohlinger, who was inspired by the popular Science Cafés presented by FSU’s National High Magnetic Field Laboratory. The first three Policy Pubs scheduled this fall will focus on the theme “Beyond the Noise: Surviving the 2016 Election.” Rather than partisan discussions on particular candidates, the presentations will look more closely at how elections and campaigns operate in contemporary America, focusing on personality, the media, public expectation and awareness, and what it all means for future policy decisions. FSU political scientists and sociologists will help make sense of a perplexing presidential race, understand the factors that motivate voter behavior, and examine the implications of the election outcome, particularly for health care and women’s rights. Tuesday, Sept.13, 2016, 5:30 p.m.
Tuesday, Oct. 18, 2016, 5:30 p.m.
Tuesday, Nov. 15, 2016, 5:30 p.m.
Weissert’s kickoff Pub session will look at the decisions, personalities and institutions, both public and private, that have shaped an unconventional campaign. 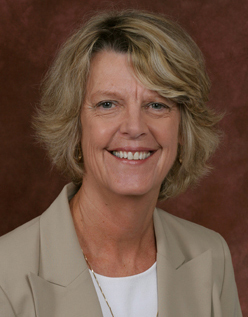 In addition to her Collins Institute directorship, Weissert is the Leroy Collins Eminent Scholar and chair of Civic Education and Political Science at FSU. Her career has focused largely on issues relating to federalism, intergovernmental relations, state politics and health policy. For more information about the Policy Pub, visit coss.fsu.edu or call (850) 645-9479.